As a rule, we rarely post news about printers here on Gizmodo because, as a rule, they’re mind-numbingly boring. 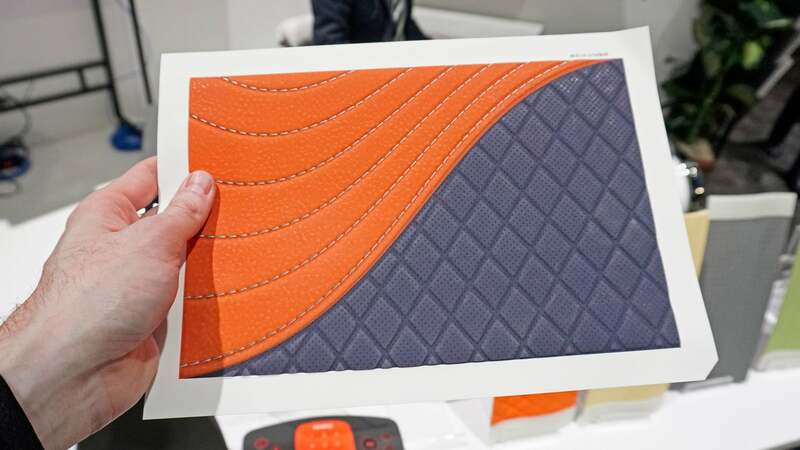 But Casio’s new Mofrel system does something truly innovative: it can add 3D textures to your printouts, turning flat paper into faux leather, stone, wood, and even simulate embossed stitched fabrics. 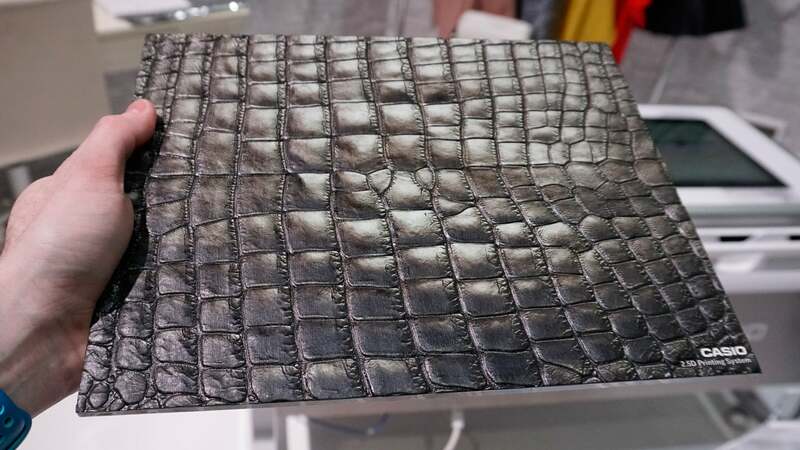 Embossing and stitching can all be faked using the Mofrel technology. The paper you feed into the Mofrel isn’t the same stuff used in the photocopier at your work. Each sheet costs around £7, and is noticeably thicker, feeling more like card stock. It’s made up of multiple layers that include a base substrate of thicker paper stock, a layer of carbon molecules applied as a fine powder, and layers on top of that which can be printed on using standard inkjet inks. A black and white image defines what parts of a printout will be raised, creating the textures. Using a special plugin for Photoshop, a texture is created by first printing a black and white image. The printout is fed back into the Mofrel printer where it’s hit by IR light. No alligators were harmed in the making of this printout. The darker areas of the printout absorb that light, which in turns causes the microscopic carbon particles underneath to expand, pushing the top layer up and creating an added layer of depth and texture you can feel but also see as light falls across it. That printout can then be fed back into the other side of the printer, and finished with standard inkjet inks to add colour. The effect is incredibly convincing. 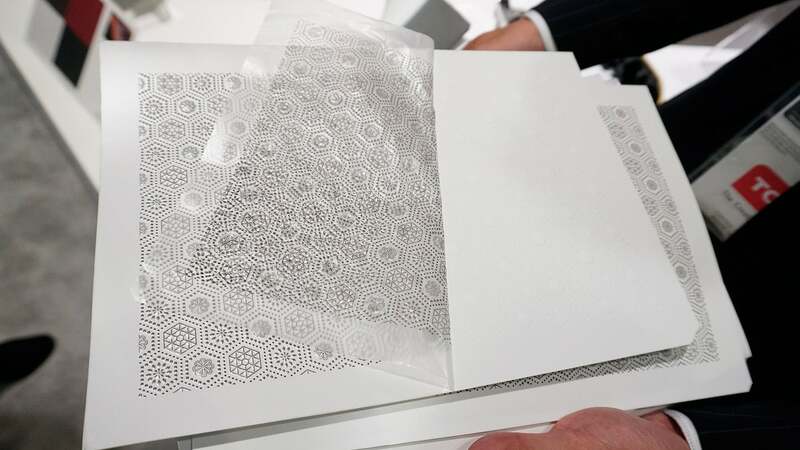 Looking at a part for the interior of a car that was wrapped in one of these printouts, I would have not been able to visually distinguish it from an actual vinyl, textured fabric. And that’s where Casio is primarily targeting the Mofrel printing technology right now. As with 3D printing, even at £7 per sheet, it’s a much cheaper way to prototype finished objects, without going to the trouble of cutting and re-wrapping actual fabrics again and again, as you make small revisions to a prototype product. 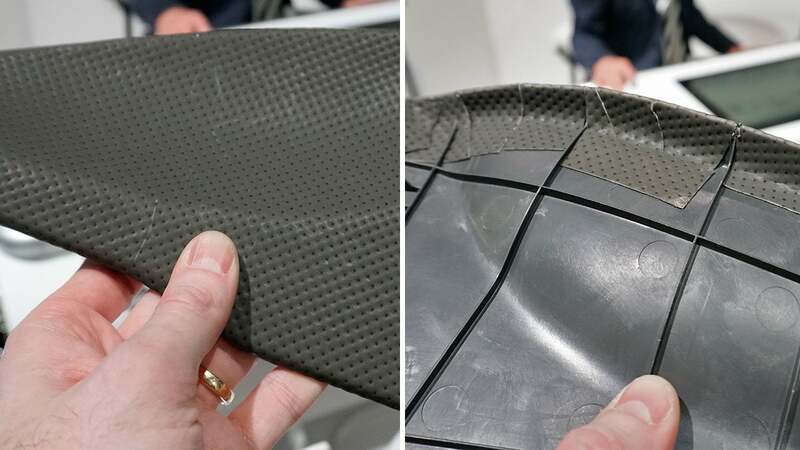 This will undoubtedly have a big impact for automakers as they prototype the finished interior of a new vehicle. The Mofrel printer’s as big as a desk, and as expensive as a car. So, can you get a Mofrel printer for your home? No. At £33,200 it’s a giant machine expensive machine—almost the size of a desk—that Casio is currently selling to manufacturers. You can’t even get it outside of Japan yet, but I suspect the company wouldn’t turn you down if you wanted to fill a design studio with a bunch of these machines. Grandma and Grandpa will love photos of their grandkids they can look at, but also feel. Is there a consumer application for this technology yet? 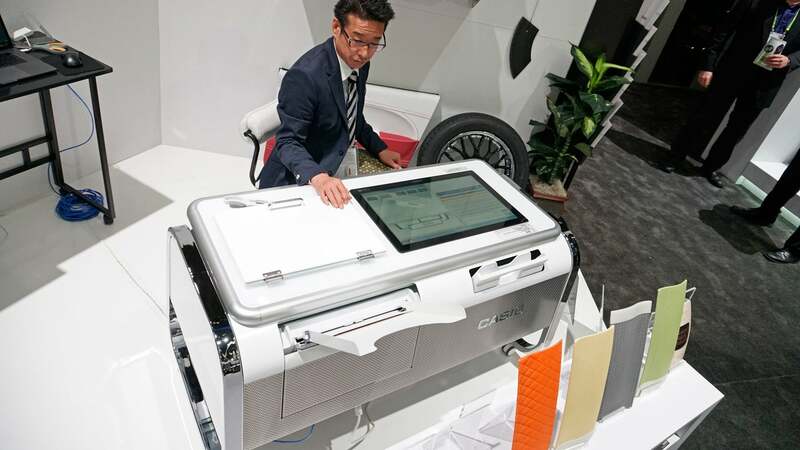 It’s hard to imagine anyone spending £33K for a printer like this in their home office. 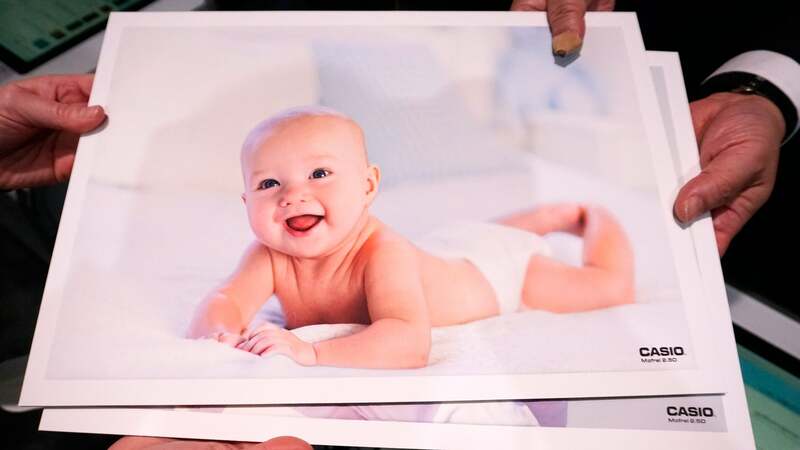 But Casio showed off a photo of a baby you could touch and feel, and undoubtedly grandparents everywhere will be the first adopters of this technology when it hits the consumer level.